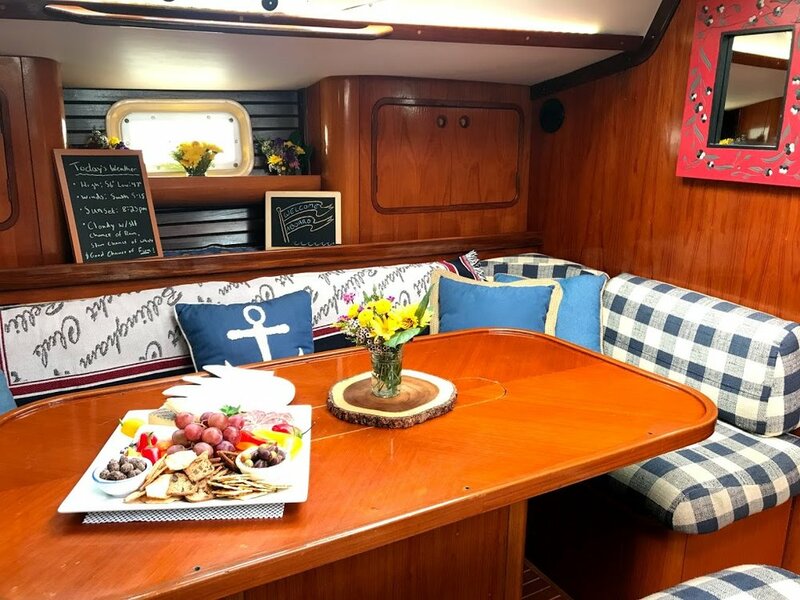 Climb aboard the SV Hopscotch, and get cozy as we cruise the Lake Washington Ship Canal and Lake Union. Three hour trips depart nightly from Fisherman’s Terminal at 6 PM. 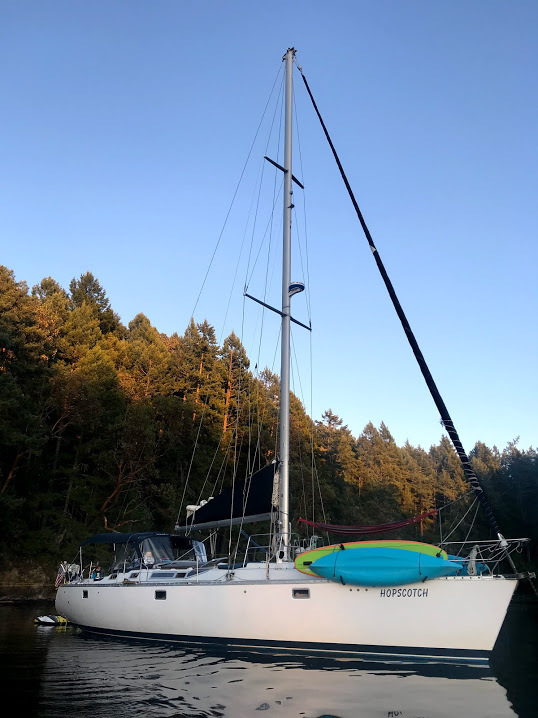 This Holiday Season we’ll be offering a fun and unique experience aboard Hopscotch! Come join us on a 3 hour “Holiday Lights Cruise” through the Ship Canal and Lake Union. On November 19th we’ll be offering this cruise to the public and expect to book up quickly. If you would like to join us, we encourage you to book as soon as you can. We’ll be taking 8 guests aboard. You can purchase tickets in pairs (two Guests per ticket). If you’d like to book the entire Hopscotch, and have a Private Charter, that’s possible too! Please give Brendan a call (or email) if you have any questions! This ticket is good for two guests aboard Hopscotch. We’ll have plenty of cocoa, cider, treats, and holiday cheer! Please feel free to bring along your own tasty libations (BYOB). We depart Fisherman’s Terminal, cruise east through the Ship Canal, and circumnavigate Lake Union. 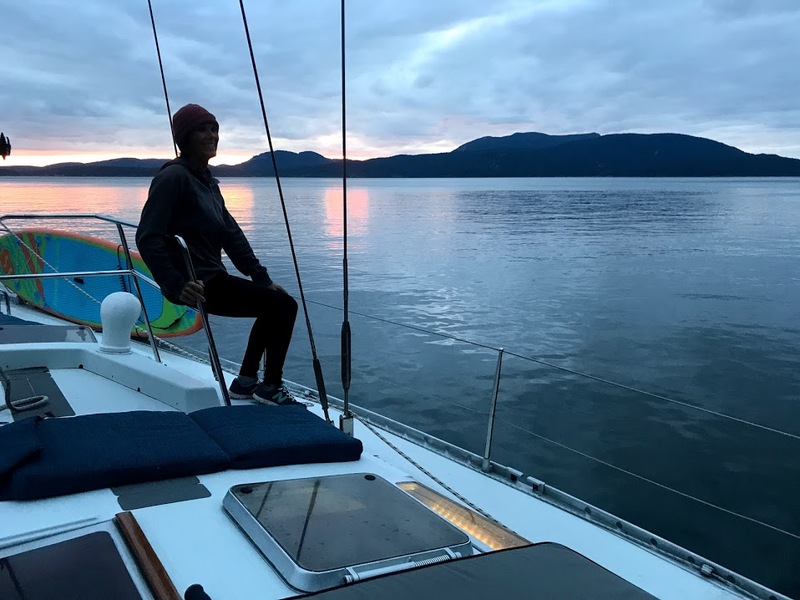 Along the way we’ll soak up the sights and sounds of festive boats, docks, houseboats, and downtown Seattle’s glowing skyline. 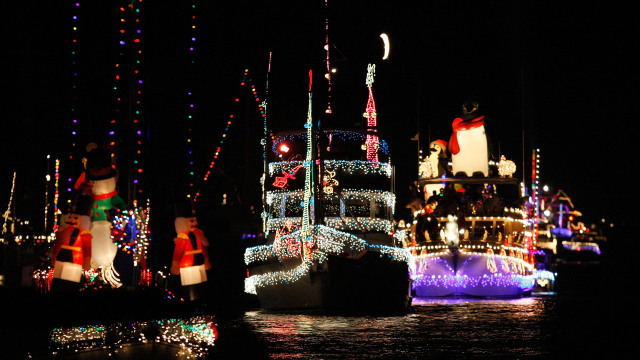 Our Holiday Lights Cruises meets at 6 pm at Fisherman’s Terminal, on dock #9. We have blankets, gloves, umbrellas, and a very cozy interior. Please dress warmly, as the sights and sounds are best enjoyed from up on the deck! Please note: Hopscotch is a sailboat. Walking on and around Hopscotch (at night, in the winter time) requires mobility.